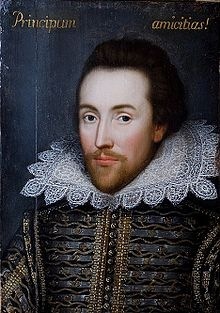 That portrait of William Shakespeare came to light recently. Its authenticity is vouched for by leading Shakespeare scholar Stanley Wells, though there are doubters. If it is authentic it is the only surviving portrait painted during the playwright’s lifetime. what he hath left us. And thine to ruine, where it seem’d to raise. Above th’ ill fortune of them, or the need. I, therefore will begin. Soule of the Age ! The applause ! delight ! the wonder of our Stage ! Or sporting Kid or Marlowes mighty line. Our eares, or like a Mercury to charme ! And joy’d to weare the dressing of his lines ! As they were not of Natures family. For a good Poet’s made, as well as borne. As brandish’t at the eyes of Ignorance. Advanc’d, and made a Constellation there ! And despaires day, but for thy Volumes light. B E N: J O N S O N.
I noticed this in Lord Mayor Clover Moore’s latest email newsletter, which I have been receiving ever since we enlisted her aid, in her role as a member of the NSW Legislative Council, for Lord Malcolm last year. 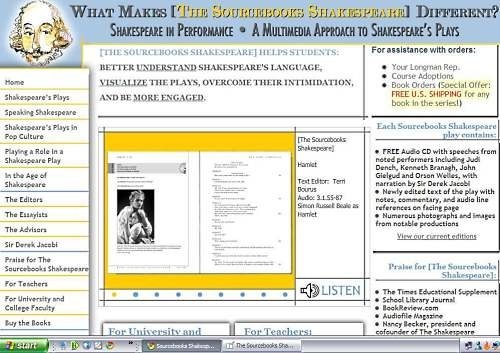 * SHAKESPEARE BY NORTHCOTT: A special, one-off performance will take place at Belvoir Street Downstairs Theatre on Monday 20 October 2008 at 1pm. Residents of Northcott Housing estate in Surry Hills take to the stage in their own production of a selection of Shakespeare’s plays. You may find The Northcott mentioned here from time to time, and it has featured in my documenting of Surry Hills on Ninglun’s Specials. This post is also on English/ESL. NSW Police, acting on complaints by Interested Citizens, are on the point of cracking Child Pornographer William Shakespeare. “I have never heard anything so disgusting in my life,” Prime Minister Rudd told Good Morning Australia. “But I was disgusted long before Kevin Rudd, and no child will have to pay for petrol under a Coalition Government,” responded Opposition Leader Brendan Nelson on Sunrise. Shakespeare — not to be confused with Australian singer Johnny Cabe whose suggestive lyrics (see the YouTube) do explain his choice of “William Shakespeare” as a stage name — has been foisting his filth on impressionable young Australians for years, informed sources say. I saw this just now, thanks to Surry Hills Library. It is brilliant, though there are still a few rough patches because of the way it was made. The DVD has a good documentary on that, and how it was a particularly challenging (and brilliantly done) restoration job. The movie was never seen in anything like the form Welles intended until 1992! Just look at the sublime opening!